Long URLs, typed into TweetDeck’s “What’s happening?” box, will now be shortened immediately using unfake.it. 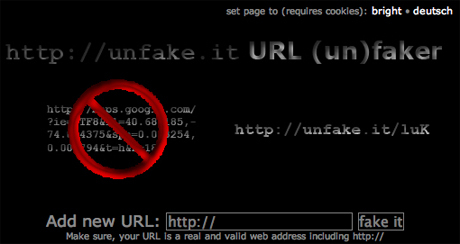 after several months, unfake.it has become even more important in the Web2.0 community. A few weeks ago, I was talking to some guys and co-workers about programming and such things. I then told about unfake.it and a co-worker of mine said, he somehow stubled upon http://unfake.it/ and uses it irregular. That was quite funny to me. The new plugin comes with its own settings page and adds two own tables to your WordPress installation. The main purpose is to let you configure, whether or not you wish to be taken to facebook and add the shortened URL for your new blog post (including a thumbnailed screenshot) to your facebook profile page and even in your friends newsfeeds. 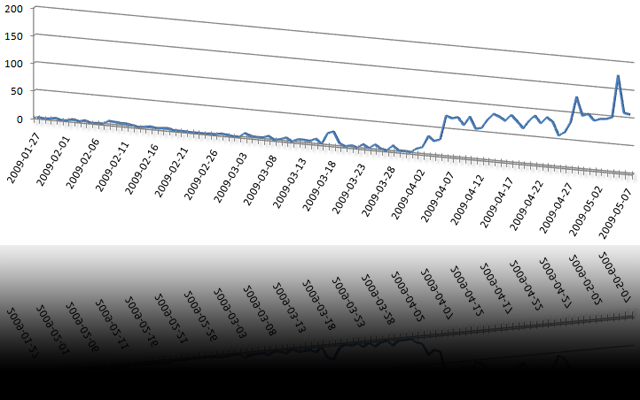 You may see most recent stats at http://unfake.it/stats.php. Please let me know, if you have any problems with the new version of the WordPress plugin and especially what you think about the facebook application. As some users reported, they would not like the dark style of the unfake.it website, you may now choose between a dark and a bright style. Besides the possibility to choose between a dark and a bright style, you may also set the site’s language. unfake.it is currently available in English and German. Your preferences will be set as a cookies, so you do have to allow cookies from unfake.it. As long as you did not set any preference, the dark style and English language will be default. unfake.it has become a new and standalone plugin for WordPress! Alex King (thanks for that!) just added filter hooks to his famous Twitter Tools plugin for WordPress, which allows everyone to push URLs for a new posting to a filter. In this case, the unfake.it URL shortener for Twitter Tools takes the URL, shortens it and gives it back to Twitter Tools before notifying Twitter about the new post. Usage is quite simple, no configuration is needed. This plugin just depends on Twitter Tools version 1.6 (or above). 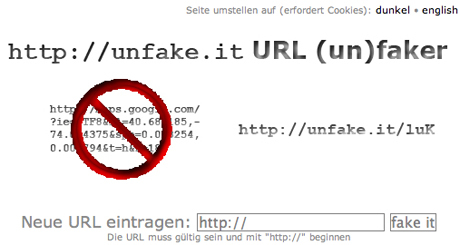 If you install unfake.it URL shortener without having Twitter Tools installed, simply nothing will happen. Your WordPress blog won’t be affected in any way. New project for the WordPress plugin directory is pending and assumed to be online soon. So, all of you using Twitter Tools and already my patch for it: you should upgrade to Twitter Tools version 1.6 and also install the new unfake.it URL shortener plugin in addition to Twitter Tools. Please let me know whether you experience any problems. Today, Alex King published a new beta version of Twitter Tools (v1.6b2) providing various bugfixes. A few minutes ago, I released the new unfake.it patch for this version.